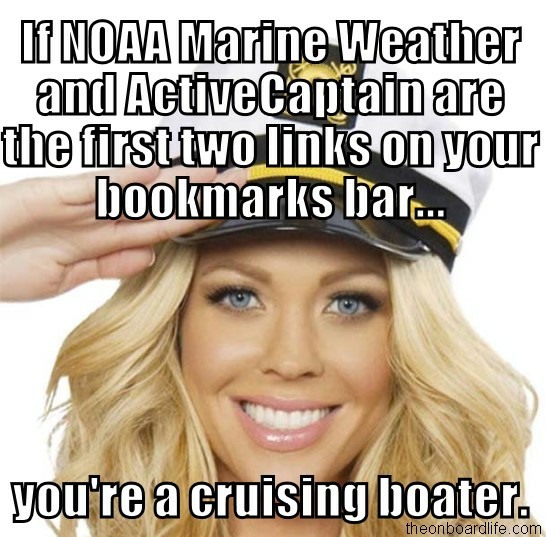 Of all the marine memes that I have created (126 to date!) 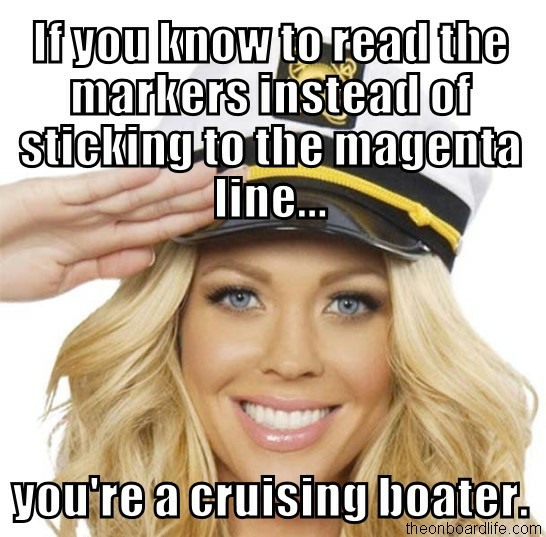 by far, the most popular have been the ones I call Captain Cutie memes. 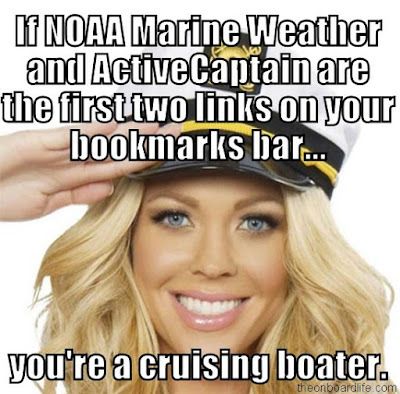 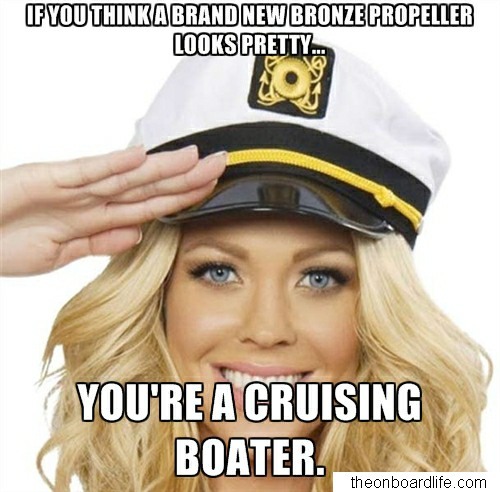 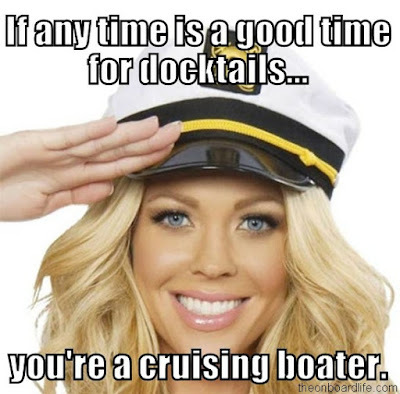 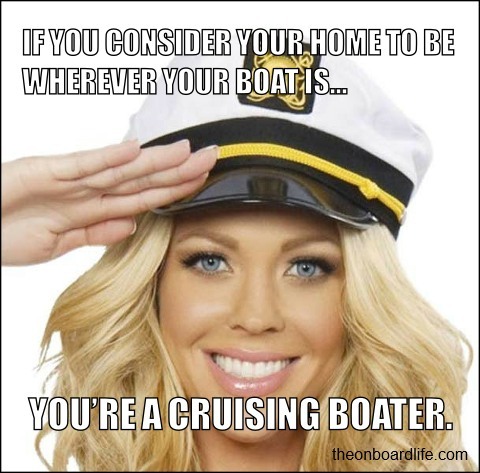 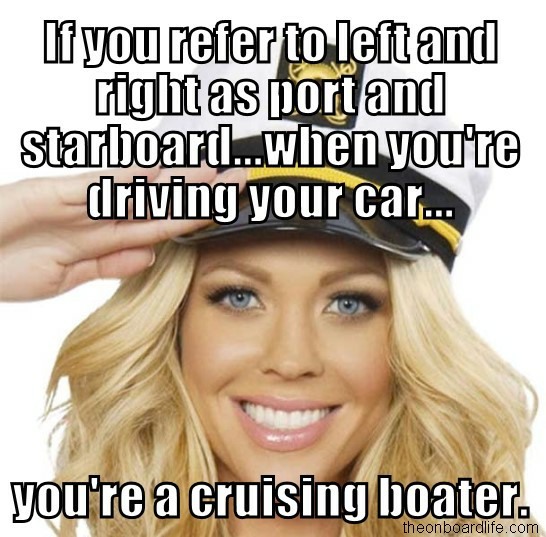 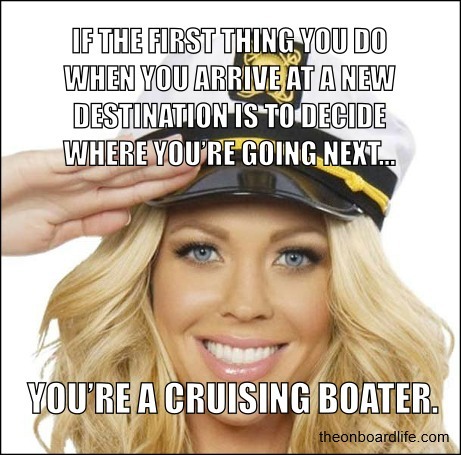 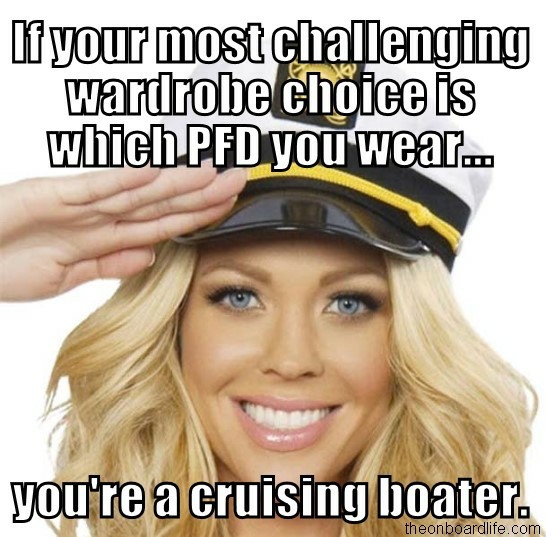 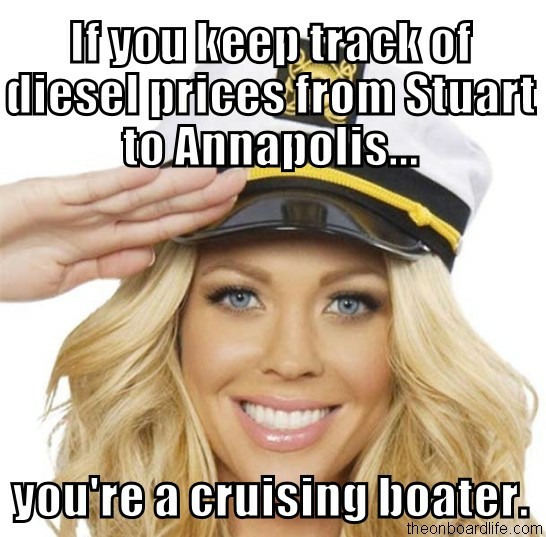 They are a picture of a very cute saluting captain and have a caption of some aspect of the on board life with the tagline, "You're a cruising boater," common traits that we all share. 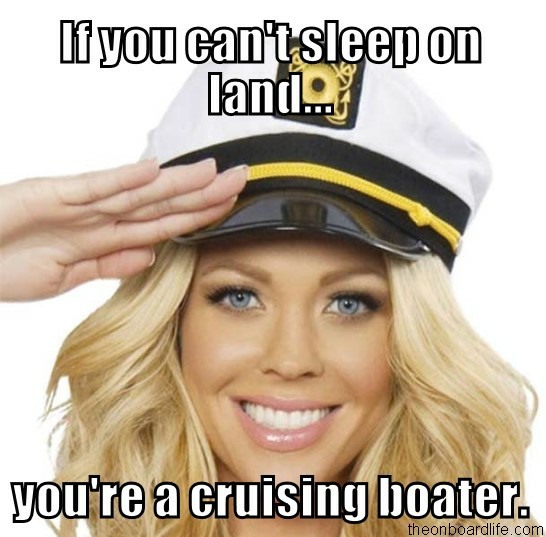 Here she is in all her glory, Captain Cutie.